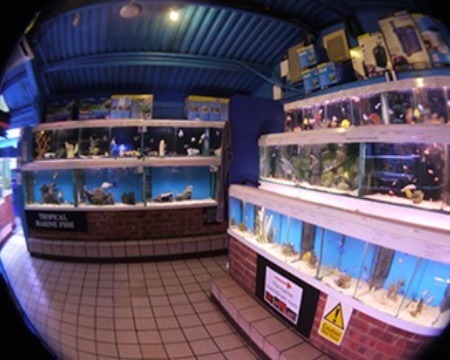 A virtual tour of The Goldfish Bowl, Oxford right from the comfort of your own home. We guarantee it’ll make you want to pop in for yourself! 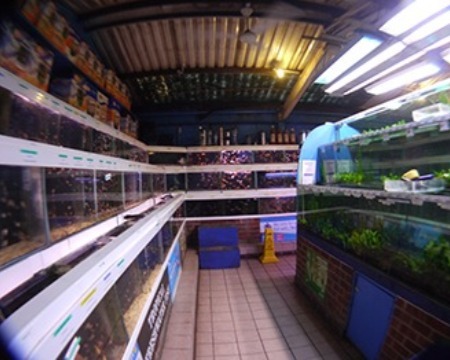 Come and see our selection of tropical fish, coldwater fish, marine fish, invertebrates, corals and plants and an unbeatable selection of dry goods including Juwel, Eheim, Seachem, API etc. A water wonderland right in the heart of the City of Dreaming Spires. Looks may be deceiving ... 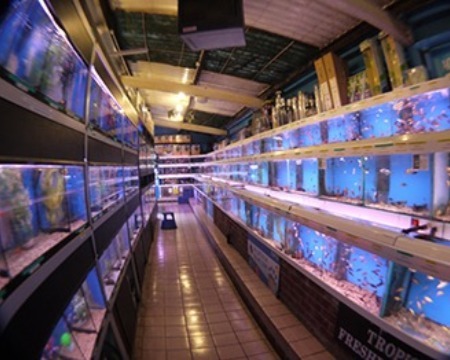 Behind the front of this shop lies an aquatic world of over 3,000 square feet containing dazzling and exotic fish from all over the world and a selection of dry goods that has to be seen to be believed. The Goldfish Bowl are proud to be the holders of many awards. 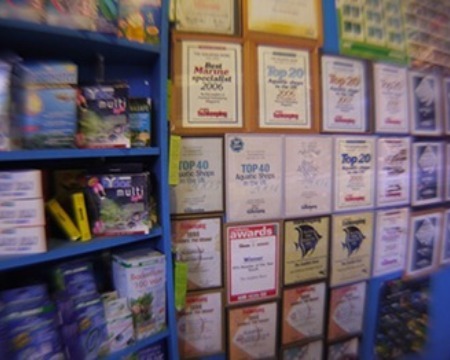 These include ones for our unrivalled selection and availability of livestock as well as our customer service. As you enter the shop, you are greeted by our tropical section. 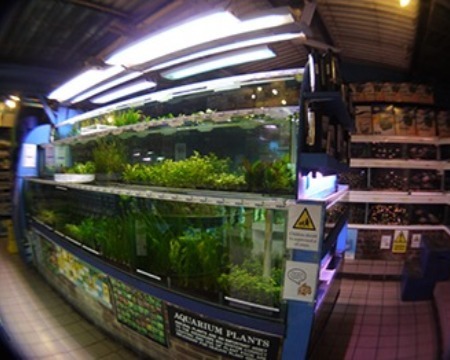 On the left hand side, they are endler guppies of all varieties and a selection of freshwater shrimps and crabs. We also have a colourful display of all kinds of tetras and micro fish. Further down are the discus, elegant and fascinating creatures, as well as some of our bigger tropical fish. On your right are many varieties of mollies, platies and swordtails in a dazzling display of colour forms. Barbs, gouramis and loaches - including the very popular clown loach from Indonesia - follow on. Many varieties of plecostomus complete the run. As you turn the corner, you come to the tetra section, with this genus including some of the most popular of all tropical fish. Check out the stunning head and tail light tetras. You’ll also find many varieties of the ever-busy corydoras catfish, which are perfect community bottom feeders. 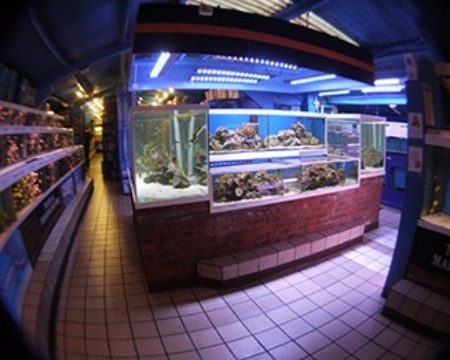 We also house our angel fish here as well as the stunning vibrant red parrot cichlids. Now it's onto the wonderful and colourful cichlids, which hail from Lake Malawi as well as Lake Tanganyika and Lake Victoria. We have a huge selection of cichlids, including the ever popular aulonocaras as well as beautiful haplochromis and a personal favourite - the jewel cichlids. Our contemporary plant tank display takes aquatic plants for the fishkeeper to a whole new level. The five tanks, each 3.3 metres long, display over sixty different species of plants from three different continents. The tanks benefit from heating cables underneath the layer of Deponit Mix. CO2 gas is fed into the aquariums to provide just what the plants need. Next up is our purpose built invertebrate room, which attempts to mimic an underwater wonderland with the inverts delicately positioned to its best advantage. 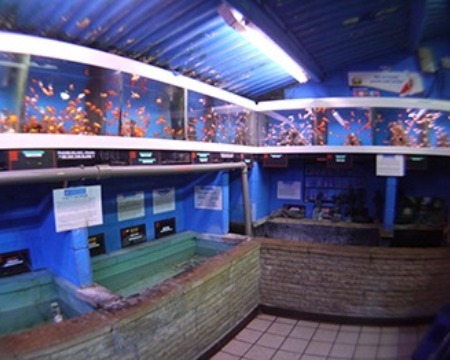 SPS corals and LPS stony corals are displayed in their own system. Soft corals, mushroom on rock, zoanthids, anemones, feather dusters, shrimps, crabs, urchins, starfish and many more are among the inhabitants of this display. Our selection of marines greets you on your return from the coral room – a stunning variety of some of the world’s most beautiful fish. It includes many brightly-coloured fish from the ocean of the world including clown fish, damsels, angels, gobies, blennies and many more. Our beautiful marine display centrepiece. In an ‘I’ shape configuration, the two large 7ft tanks are home to sharks, leopard moray eels and are supported by a shoal of Malayan Angels. 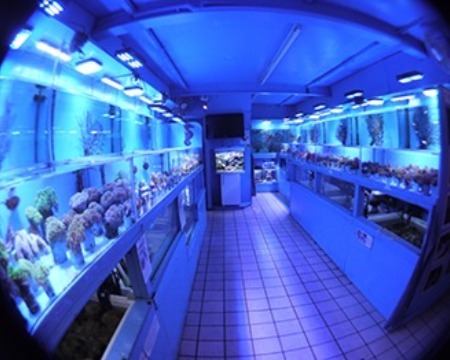 Take a right and you will be in the coldwater room, which accommodates many varieties of fancy goldfish, like the orandas, bubble eyes, lionheads, telescopic eyes and ryukins. Of course we keep a good variety of the popular common goldfish, shubukins, and koi carp in the pools below. Our terrapins are also housed in this section. We have hundreds of different dry goods in stock. This includes the popular API water treatment range as well as the highly-recommended Eheim equipment. 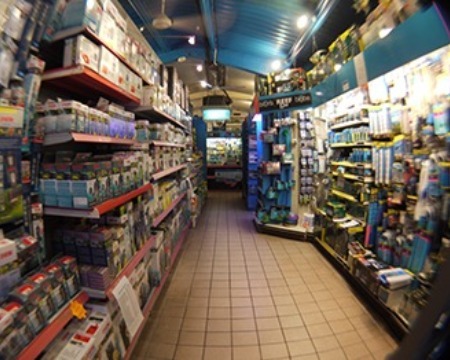 We have been recognised as a premier shop by a number of leading suppliers. 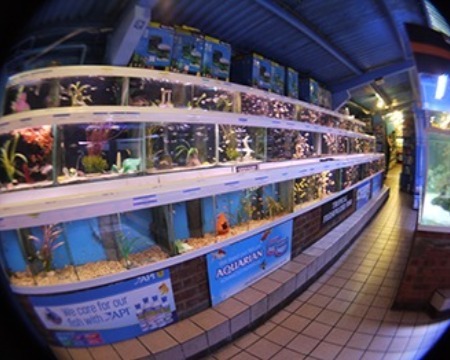 To name a few, we were the first aquatic shop in the UK to gain platinum status with Juwel, a leading manufacturer of aquariums and its accessories. We also have achieved platinum status with Seachem UK. We have also been named an Eheim Professionel dealer. Oh, look at those ornaments! We have a vast selection of ornaments, set out in many themes such as oriental, Easter Island and Ancient Greece etc. to make your selection easier. 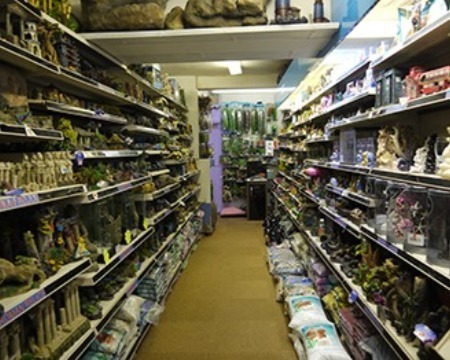 We also stock bogwood, spider wood, artificial plants and over 30 different colours of gravel. You'll be amazed by the choice! We hope you enjoyed your virtual visit – now come in and see the real thing! Seeing really is believing!